in the school playground. 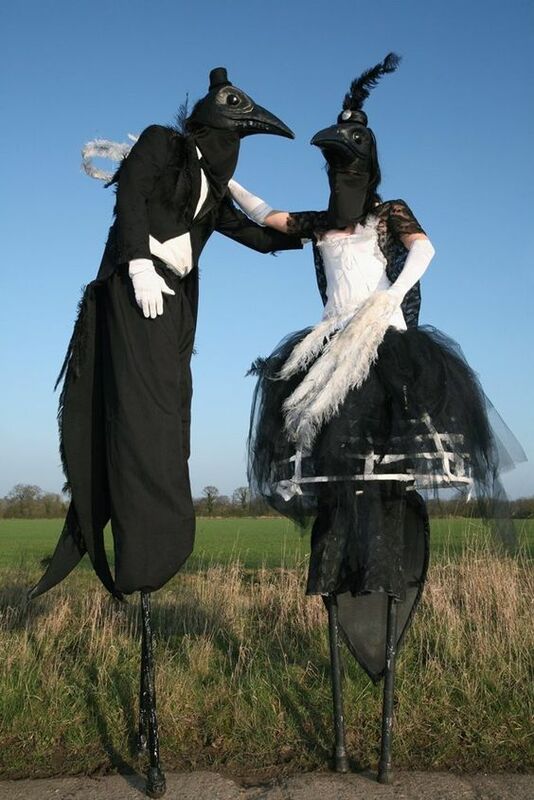 It is considered unlucky to see one Magpie… hence… ”Good morning Mr Magpie, hows the wife?”, and lucky, to see two. 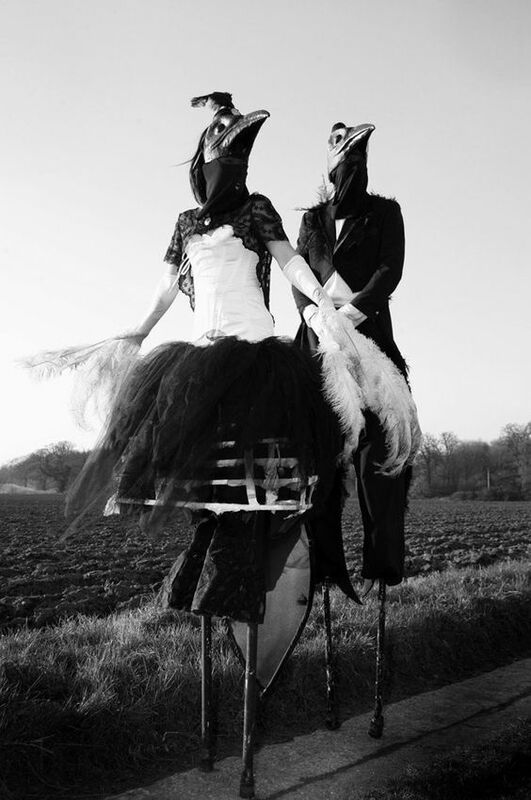 Inspired by the faded decadence of the 1920s, the novels “The Great Gatsby” by F. Scott Fitzgerald and “Brideshead Revisited” by Evelyn Waugh, the monochromic beauty of these unusual looking birds, which symbolise a type of “Englishness”. Hazy days, long evenings, cricket and black tie balls. 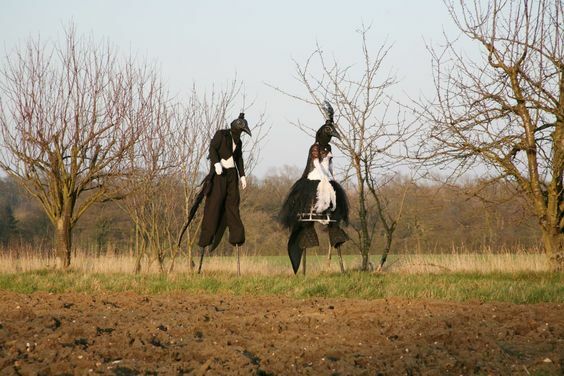 These magpies stilt walkers, walk around your event, silent and mysterious, beware your glittery possessions, as they have a reputation for stealing! 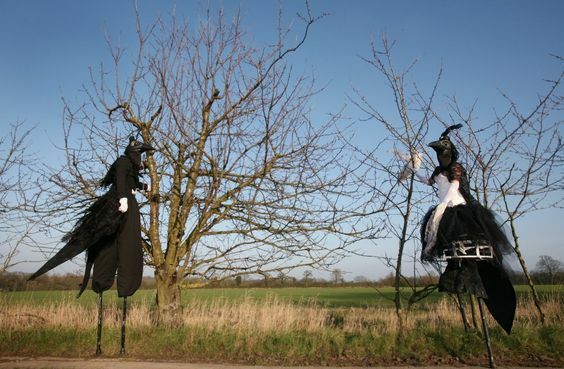 These Magpie Stilt Walkers are also great for Harry Potter themed parties as The Montrose Magpies are a Quidditch team! Standard Length of Performance: 3 x 30 minute walkabout sets.